Known as one of the world’s largest exhibitions for the sheet metal working industry, EuroBLECH intends to make the concept of digitalisation easy for organisations to understand and implement in their respective sheet metal working businesses. The streets of Hannover will be bustling with business and trade interactions in the coming days as one of the most coveted exhibitions, EuroBLECH will once again throw open its gates to welcome global industry players from the sheet metal working industry. The event is claimed to be the world’s largest exhibition for the sheet metal working industry and is expected to be held from October 23–26, 2018 in Germany. Organised by Mack Brooks Exhibitions, this year, the trade fair will celebrate its 25th edition under the motto ‘Step into the digital reality’ and will focus on smart manufacturing. With the emergence of the digital age, the industry has changed like never before. 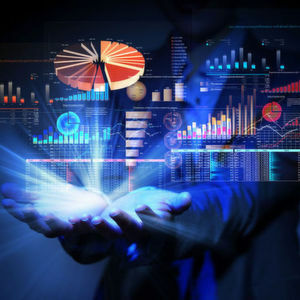 Increased productivity, enhanced efficiency, automated processes and error free creations are just some of the plus points of this digital transformation. Hence, the show aims to focus on this digital reality by showcasing some of the most innovative technologies and intelligent solutions in the sheet metal working industry in order to maximise production. This will also assist medium as well as small sized players to get acquainted with these revolutionary technologies so that they can adopt it and stay ahead of their competitors. To take digital reality to the next level, EuroBLECH has also organised an online competition called ‘Step into the digital reality’ through which the event will felicitate outstanding organisations across five categories namely Digital Transformation, 25 EuroBLECH shows, Cyber Security, Best Start-up and E-Mobility. The winners will be presented with an award and a certificate to celebrate their success. 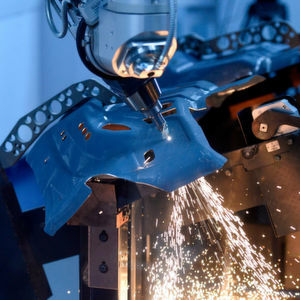 Around 1,550 exhibitors from 40 countries will display new technologies and conventional machines across 15 different technology sectors for sheet metal working at the trade fair. Some of the major countries that will be exhibiting at the event include Germany, Italy, Turkey, China, the Netherlands, Spain, Switzerland, Austria and the USA. This means that visitors can now be exposed to numerous innovations from across the globe. The show also acts as the perfect platform for visitors to stay updated on the latest technological and market trends and gain insightful knowledge by attending the various conferences and seminars at the venue. Entrance tickets for the show are now available at a discounted price via the online shop. Tickets can also be purchased on-site throughout the duration of the exhibition. A ticket in pre-sale via the online shop costs €32 instead of €42 on-site and a season ticket online costs €52 instead of €62 on-site. The show preview can also be accessed by logging onto EuroBLECH's website. The comprehensive Online Show Preview offers detailed information on all the exhibitors and their respective products. EuroBLECH is all set to make the show one of the most memorable trade exhibitions in recent times for the global sheet metal working industry. The event will prove to be the ideal place to source unique solutions for the sheet metal working industry which will eventually make businesses prosper in the long run. So, if you are a design engineer, production manager, quality manager or even a technical expert from an association this is the place to be. See you there!